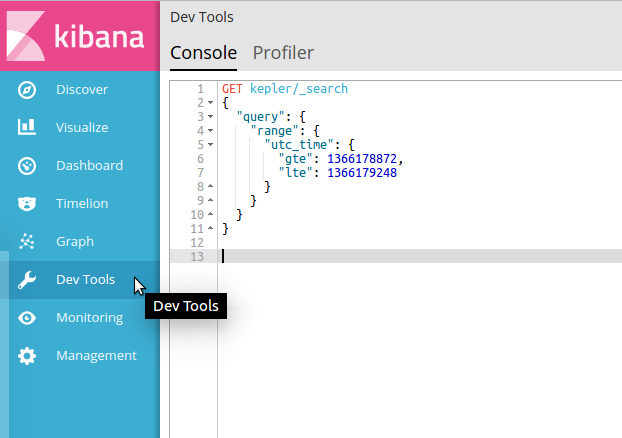 Click DevTools in the side navigation to open the Search Profiler. Console is the default tool to open when first accessing DevTools. 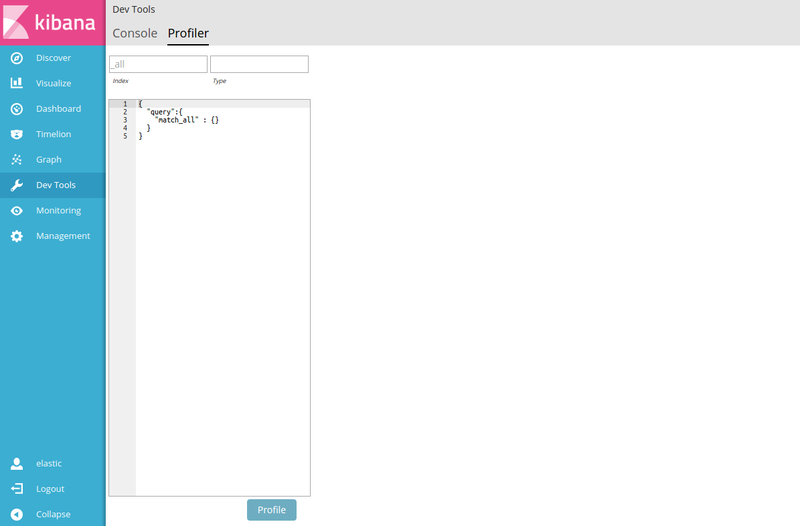 This opens the Search Profiler interface. Search Profiler displays the names of the indices searched, the shards in each index, and how long the query took. 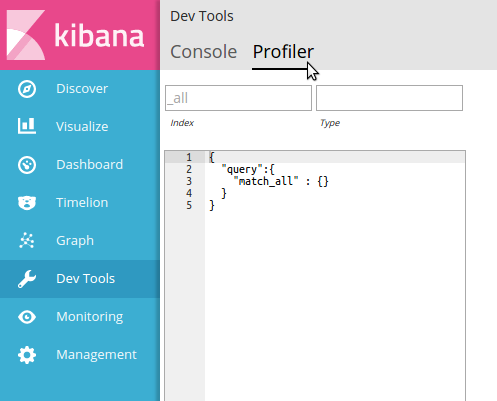 The following example shows the results of profiling the match_all query. 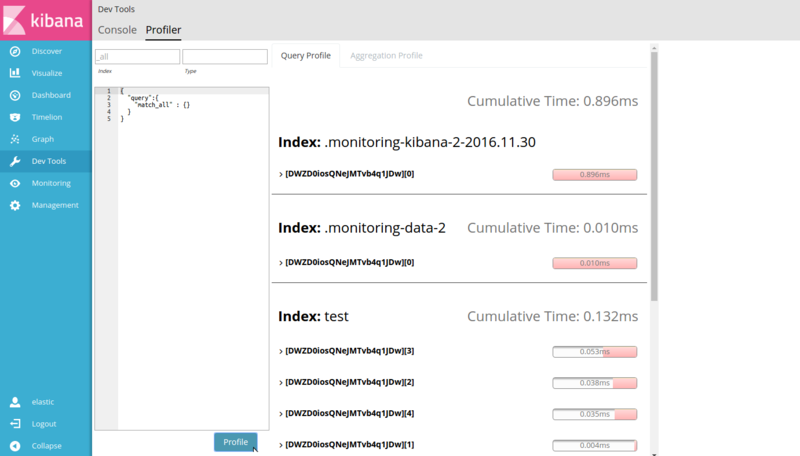 Three indices were searched: .monitoring-kibana-2-2016.11.30, .monitoring-data-2 and test. In this example, there is a single "MatchAllDocsQuery" that ran on the shard. Since it was the only query run, it took 100% of the time. When you mouse over a row, the Search Profiler displays additional information about the query component." This panel shows the timing breakdown of low-level Lucene methods. 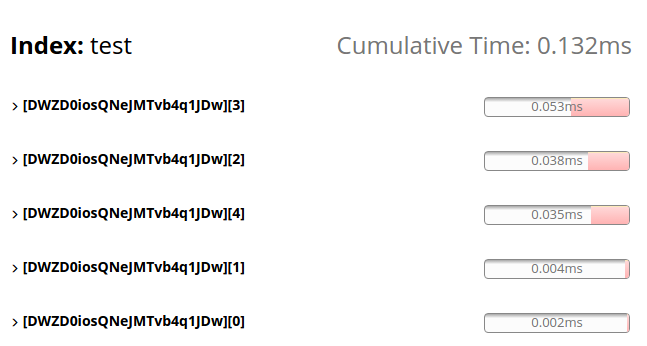 For more information, see the reference docs for Timing Breakdown.